If you are like many people who invest in rental properties, you likely only do so in the market area in which you live or only in market areas that are relatively close to where you live and work. While there are many advantages to investing in rental properties that are located in your local market, including have strong knowledge of your local rental market, you also are subjecting yourself to many disadvantages that ultimately limit your potential for success. When you invest locally, you are restricted to your local market conditions, and your rental income will fluctuate with it. If you live in a high-rent area with a lot of competition and costs related to doing business, you might find it nearly impossible to invest in enough rental properties in your local market to sustain your financial needs throughout your working years and retirement. When your local market suffers a downturn, so will your rental income. That doesn’t mean you overlook your local market, but it does mean you need to expand your investment horizons and consider the many advantages of investing in out-of-state properties. When you invest in properties outside of your state, you can choose from a variety of market types, diversify your investments, and help to ensure a steady stream of revenue coming from several sources. It helps to start with markets with which you already are familiar, such as where you might have a vacation home, visit frequently for work, or have frequented a great deal in the past. But you also can research markets to learn which ones have the most promising investment potential for you and help to ensure you maximize the return on your investment. In general, you want properties that are in good condition, require reasonable rehabilitation and repairs, will be relatively easy to maintain, and has a strong potential for full occupancy well into the future. You also want them to be free of pests, mold, mildew, and other hidden dangers that can make them uninhabitable. 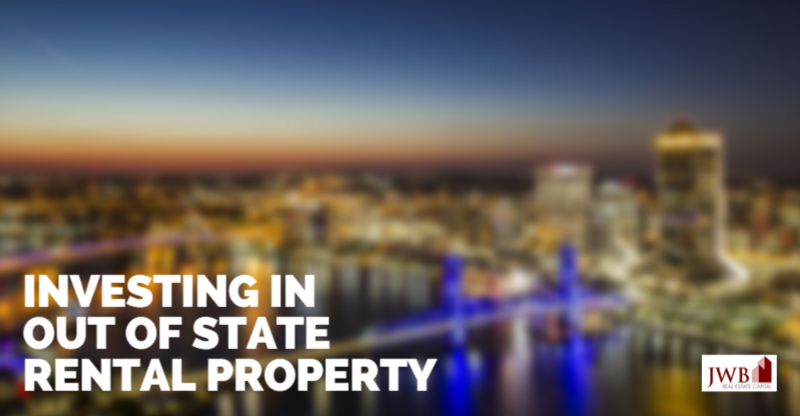 When you choose to invest in properties outside of your state, you need to ensure you do your homework to get a truly profitable property. Among factors you must consider are local property and business taxes, zoning laws, development projects that could impact your property, insurance costs, and more. You also need to ensure local demographics are such that you have a ready supply of renters who won’t have a problem with paying their monthly rents. Locales with low unemployment and crime rates often make ideal markets. A market with low property taxes generally is more lucrative than those with higher tax rates, unless that high tax is offset by additional services that make your property more secure. The federal government also is updating local flood plain maps across the nation. Properties located in high-risk areas, might prove too costly to insure, while facing a likelihood of eventual flood damage. Not all properties face such dangers, but you need to learn which dangers are unique to a particular property before investing in it. The best way to ensure you find a profitable rental property located out of state is to seek out and hire a good property management company as your partner. The right property manager has many good local contacts, quality vendors, and ensure your property is managed properly, and is an invaluable asset when you invest in rental properties outside of your state. A good property manager makes your rental property investment more sound. 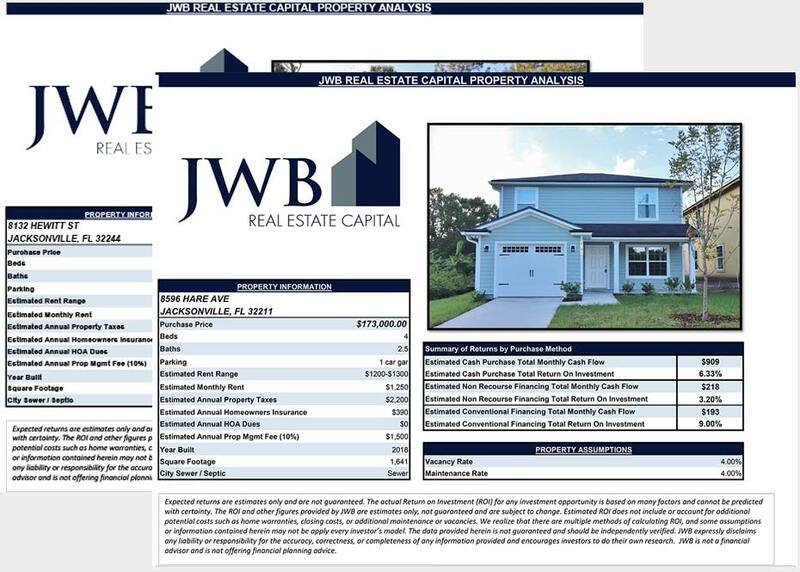 Over 400 JWB clients from 37 states and 12 countries choose to invest in Jacksonville, FL. 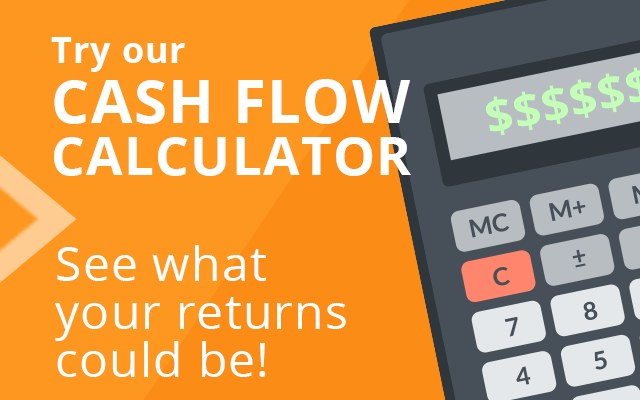 Talk to one of our investment specialists to learn more!